Free MLB Picks: Boston Red Sox @ Philadelphia Phillies Betting Odds and Expert MLB Picks 4/8/15: The Boston Red Sox are listed as -140 money line favorites at GT Bets Sportsbook to beat the Philadelphia Phillies on Wednesday night at Citizens Bank Park in Philadelphia. The game total is set at over/under 8 runs as the Red Sox look to take the 2nd game of the three game series after winning 8-0 on opening day behind 5 home runs. Dustin Pedroia and Hanley Ramirez both went deep twice for the Red Sox and Clay Buchholz was outstanding on the hill as he gave up just 3 hits and 0 runs in 7 innings to pick up the win. The Boston Red Sox will send out Rick Porcello to the mound on Wednesday as the former Detroit Tiger will be making his first career start for the Red Sox after being acquired via a trade in the off season. However, the Red Sox front office wasted no time showing enormous faith in his talent after tying Porcello down for years to come with a 4 yr/82.5 million dollar contract on opening day. Frankly, we feel that money is a big time reach for someone of Porcello’s talent but we aren’t footing the bill. Porcello went 15-13 with a 3.43 ERA last season for the Tigers and gave up 211 hits in 204.2 innings pitched. The 26 year-old, 6 foot 5, 200 pound right-hander only struck out 129 and had 41 bases on balls last season. Porcello is 1-0 in his career against the Phillies as he won in 2013 when he tossed 6 innings, giving up 7 hits and allowing 3 earned runs. The Philadelphia Phillies will counter with Aaron Harang as he will making his debut after inking a 1 year deal in January. The 36 year-old right hander went 12-12 with a 3.57 ERA last season for the Atlanta Braves and will be pitching for his 7th team in the last seven seasons when he takes the ball to the rubber for the Phillies against the Red Sox. The 6-7, 261 pound native of San Diego, California gave up 215 hits in 204.1 innings last season while striking out 161 batters and walking 71. Harang has faced the Red Sox five times in his career and is 2-2 overall including a no decision last season when he gave up 7 hits in 6 innings, striking out 6 and giving up 2 earned runs. We are going to place our money on the Red Sox to win this game Wednesday night. The Red Sox swung the bats really well on opening day and we look for those hots bats to stay hot against Harang. The Red Sox appear to have some very good chemistry this year and should be one of the most improved teams in all of MLB Baseball while the Phillies should be one of the worst. Take the Red Sox at -140 and we should all be counting our cash by game’s end. 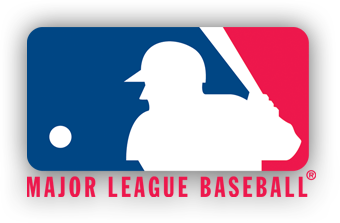 Place a Bet on 2015 MLB Baseball Odds!